This is the very last thing I’ll write about Alex Payne writing about Twitter. I think. Payne wrote a great post on his personal blog yesterday with his thoughts on the new version of twitter.com and what it means. He also reflected back on his time (three and a half years) at Twitter, before moving on to his new job, with the banking disruption startup BankSimple. Payne, who has a history of being outspoken (I think I’ve indirectly gotten him in some trouble at least a couple times) is also very insightful. And while he wisely notes, “If you report anything in this post as a likely future direction for Twitter, you are a buffoon,” a few of his thoughts on the recent past of Twitter are worth reporting on. Most notably, his call to decentralize Twitter. Some time ago, I circulated a document internally with a straightforward thesis: Twitter needs to decentralize or it will die. Maybe not tomorrow, maybe not even in a decade, but it was (and, I think, remains) my belief that all communications media will inevitably be decentralized, and that all businesses who build walled gardens will eventually see them torn down. Obviously, he’s hardly alone in that belief. Since Twitter began gaining popularity a few years ago, people (including some of us at points) have been calling for an open standard for tweet-like micro-messages. When Identi.ca sprung up, some heralded it as the “Twitter killer” for this very reason. That obviously didn’t happen (though Identi.ca and parent StatusNet are still alive and kicking as well). 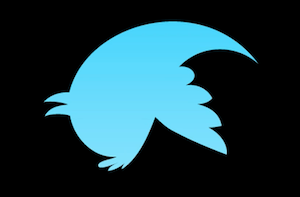 But as Twitter continues to grow (it’s over 150 million users now), there is also a growing discontent about the possibility of Twitter being yet another walled garden of content. Payne’s stance was unique because you don’t hear these calls to decentralize Twitter from inside Twitter. While Payne says that some co-workers privately supported him, “executives were unconvinced that exploring decentralization should be a business priority.” And Payne notes that they were right to shoot down his case, as it likely wasn’t what was best for Twitter from a business perspective. Payne is an idealist, but also a Twitter stockholder — sadly, as is often the case, those two sides don’t seem to align here — at least in Payne’s mind. He says the fact that Twitter (the business) can’t separate itself from tweeting (the medium) is a “large part” of what lead to his decision to leave. The call for a decentralized Twitter speaks to deeper motives than profit: good engineering and social justice. Done right, a decentralized one-to-many communications mechanism could boast a resilience and efficiency that the current centralized Twitter does not. Decentralization isn’t just a better architecture, it’s an architecture that resists censorship and the corrupting influences of capital and marketing. At the very least, decentralization would make tweeting as fundamental and irrevocable a part of the Internet as email. He also remarks that had Twitter decided to explore his decentralization idea, the team inside the company probably wouldn’t have been able to come together to focus on projects such as the new version of Twitter. And that would have been a loss for the web, he concludes. Payne also echoes my thoughts from yesterday that this new version of twitter.com is itself becoming a new type of platform. But whereas Facebook started with a platform on their site, and expanded off-site, Twitter seems to be doing the opposite, Payne observes. Further, he sees the new version as largely being designed to “allow room for advertisements and promotions.” Again, more business stuff. That said, he also says the new design is a “pleasure to use” and does think the changes help turn Twitter into the “rich information discovery platform” that Twitter hopes to be for the mainstream public. The public seems to be reacting to the new Twitter well so far. It’s the developers that are worried. Expect more calls for this decentralized Twitter from that side, with many of Payne’s points being central components of the argument.